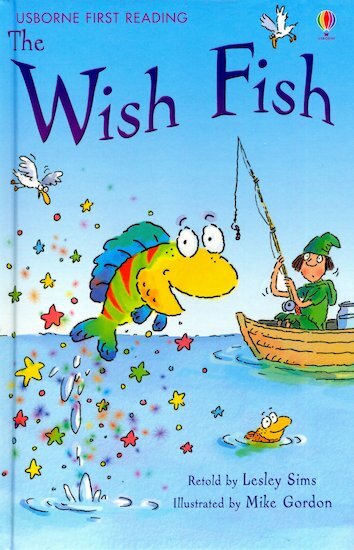 What will happen when Bo and Bet catch a magical fish who can grant wishes? Based on a folktale, this lovely little book retells a classic story in rich, vibrant artwork and carefully levelled text. Presented in a hardback gift edition with a ribbon marker, it supports Level One of the Usborne First Reading series, for beginners who are just starting to read alone. 190L Lexiles are the global standard in reading assessment. They are unique as they are able to measure a child and a book on the same scale – ensuring the right book gets to the right child at the right time.